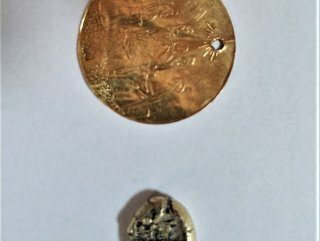 Security forces seize objects from smugglers including gold coins from Roman, Byzantine and Hellenistic period. Police acted on a tip-off they received about two people trying to sell the artifacts in the Aegean province of İzmir, said the sources, who spoke on condition of anonymity due to restriction on speaking to the media. In a raid at their residence, police seized 120 historical artifacts, of which most were gold, silver and bronze coins from the Roman, Byzantine and Hellenistic era. 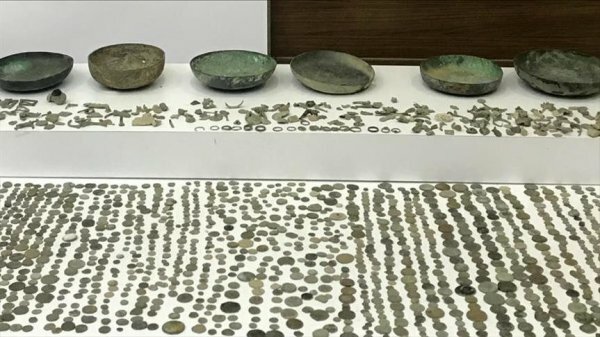 Separately, in eastern Erzurum province, gendarmerie forces seized 150 coins which are thought to belong to the Venetian period, according to a statement from the governor's office. The seized historical objects were handed over to Erzurum Museum.